3-In-1 Art Easel Just $48.43! Down From $79! PLUS FREE Shipping! You are here: Home / Great Deals / Amazon Deals / 3-In-1 Art Easel Just $48.43! Down From $79! PLUS FREE Shipping! Amazon is offering this 3-In-1 Adjustable Art Easel for just $48.43 down from $78.99 PLUS FREE shipping! 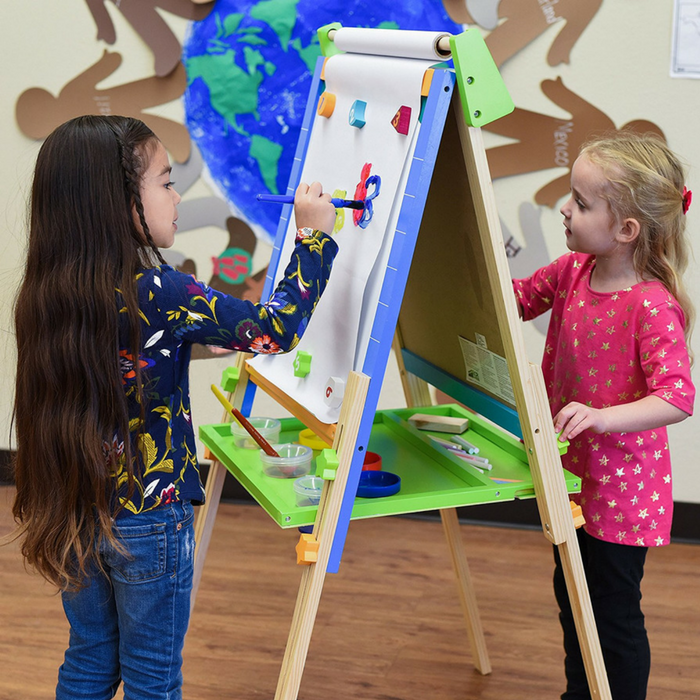 The ECR4Kids multi-use 3-in-1 Art Easel has everything your child needs to create their very own masterpiece. Made of durable hardwood, the easel features a magnetic dry-erase board on one side and a chalkboard on the other. On top, the roll of paper can be pulled down and secured with magnets to paint and draw. The convenient storage tray is the perfect place to keep included accessories of paint cups, chalk, markers, magnets and erasers. When finished, it folds up for easy storage. Suggested for ages three and up, the easel is easy to assemble and perfect for both home and classroom use. With a concentration on the Pre K-12 sector, ECR4Kids offers a wide range of products from tables, chairs and desks to cots, mats and a variety of storage cases in solid wood as well as scratch resistant double-sided laminate.